International Women's Day 2019 – mentorship is crucial in the development and retention of successful female students. However, as a new female faculty, how does one transition from mentee to mentor? The gender gap within the STEM fields is well known and in recent years has led to continuous discussion on how to address and overcome it.1-4 Recent data shows that in 2015, women were awarded 23% of doctoral degrees and only held 16% of tenured/tenure-track faculty positions.5,6 Research has also shown that having positive role models7,8 and female mentors9 can be beneficial in both recruiting and retention of females in STEM. This has certainly been true for both of us. Grace was the first child in her family to attend graduate school and work in academia. Joining her PhD research group as an international student brought a lot of culture shock with it. At the very beginning, Grace was not only struggling with the language, but also the new life, new climate, and a lot of change! Fortunately, her PhD advisor noticed this and encouraged her to attend more professional extracurricular activities where she could volunteer her time to the society, but also make friends outside of the PhD research. Indeed, her advisor was right. Grace benefited a lot from programs that aimed to promote women and minority students in the STEM field and eventually settled into a tenured-track faculty position at UMass Lowell. Her advisor’s advice made a huge difference in her adjustment and confidence in a new environment. Yanfen had similar experiences while attending graduate school with Grace. 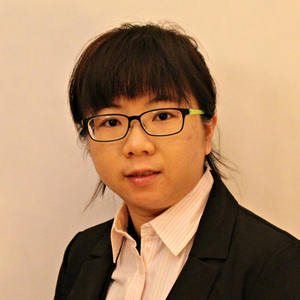 At the beginning of her graduate career, Yanfen was interested in a career in academia but was struck with imposter syndrome and was unsure of her abilities. Fortunately, she began to TA for a female faculty member in her department who later evolved to serve as her role model and mentor. This faculty member not only gave career advice, but also answered questions that others would not, pushed her to aim for projects and awards that she felt unqualified for, and brought her into a supportive community of both male and female faculty who were willing to share ideas and resources. Without this support, Yanfen would not have been as prepared or as confident to pursue an academic career. Both of us have been so fortunate to have found mentors who believed in us and pushed us to be better academics. To us, these are prime examples of the impact a good mentor and role model can have. At least for us, it has made a huge and positive impact on our academic careers. Grace has just begun her tenure track position and Yanfen is in the midst of her first year as teaching professor. When we started our new jobs, both of us were quick to start looking for good mentors in our new environment and soon were preoccupied with the hustle and bustle of our new jobs. We knew that the transition from student to educator is not a simple one. In the first couple of weeks, Grace still had the same mindset as a post-doc. As a women and a young faculty, she spoke rarely and with less self-confidence. Fortunately, several of her new mentors noticed and encouraged her to think and talk like an independent researcher. In addition, it is easy to fall into old habits. As students, both of us were proactive in seeking out advice and searching for role models to emulate. As new faculty, it is easy to continue this trend and focus on developing our new careers and negate our duties as role models and mentors to our students. The transition from student to mentor can also be challenging when you are also struggling with self-doubt as new faculty. Sometimes we wonder how we can possibly compare to the amazing mentors that had helped us. For us, we try to focus on doing the best we can. We know firsthand what positive impacts our jobs can have on our students and thus we aim to set aside time for developing our mentorship skills. Research has shown that becoming a mentor can also have multiple benefits including more job satisfaction10 and a sense of personal validation.11 Grace is currently mentoring several undergraduate students in her lab and Yanfen is enjoying mentoring and advising students in her freshman intro course. While perfecting these activities can take time away from an already packed schedule, we look forward to the future successes of our students. Moving forward, we hope that other young faculty joins us in embracing this transition from student to mentor and consciously set aside time to developing their mentorship skills. Together, we can support more young women to join and remain in the STEM fields. 1 Shen, H. J. N. N. Inequality quantified: Mind the gender gap. 495, 22 (2013). 2 Rethink your gender attitudes. Nature Materials 13, 427, doi:10.1038/nmat3975 (2014). 3 Moss-Racusin, C. A., Dovidio, J. F., Brescoll, V. L., Graham, M. J. & Handelsman, J. Science faculty’s subtle gender biases favor male students. 109, 16474-16479, doi:10.1073/pnas.1211286109 %J Proceedings of the National Academy of Sciences (2012). 4 Anders, S. M. v. J. S. R. Why the Academic Pipeline Leaks: Fewer Men than Women Perceive Barriers to Becoming Professors. 51, 511-521, doi:10.1007/s11199-004-5461-9 (2004). 5 Yoder, B. L. in American Society for Engineering Education. 37. 6 Gibbons, M. T. J. A. S. f. E. E. h. w. a. o. p. p. u. P. p. W. D. Engineering by the Numbers. (2009). 7 Herrmann, S. D. et al. The Effects of a Female Role Model on Academic Performance and Persistence of Women in STEM Courses. Basic and Applied Social Psychology 38, 258-268, doi:10.1080/01973533.2016.1209757 (2016). 8 Weber, K. J. T. & Teacher, E. Role models and informal STEM-related activities positively impact female interest in STEM. 71, 18 (2011). 9 Dennehy, T. C. & Dasgupta, N. Female peer mentors early in college increase women’s positive academic experiences and retention in engineering. 114, 5964-5969, doi:10.1073/pnas.1613117114 %J Proceedings of the National Academy of Sciences (2017). 10 Ghosh, R. & Reio Jr, T. G. J. J. o. V. B. Career benefits associated with mentoring for mentors: A meta-analysis. 83, 106-116 (2013). 11 Allen, T. D. Mentoring others: A dispositional and motivational approach. Journal of Vocational Behavior 62, 134-154, doi:https://doi.org/10.1016/S0001-8791(02)00046-5 (2003). Thanks so much for sharing your thoughts - I couldn't agree more!